OWON: Russia shows again it is ready for conflict as it flexes its nuclear muscles. How is the world safer ? Russia conducted a flight test of a revolutionary hypersonic glide vehicle last week that will deliver nuclear or conventional warheads through advanced missile defenses, U.S. defense officials said. 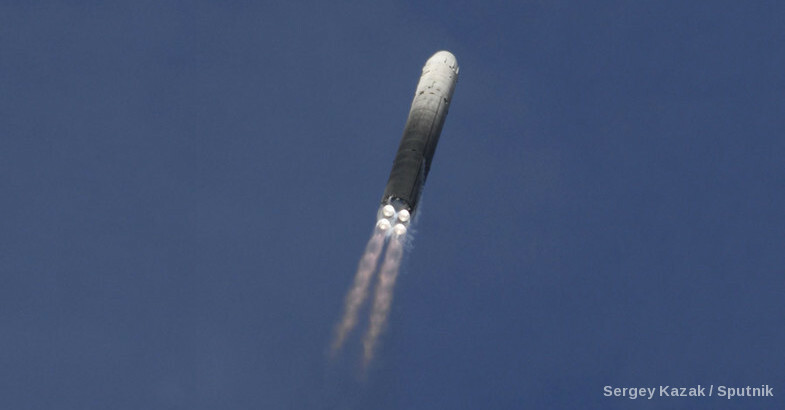 The test firing of the hypersonic glider took place Tuesday and involved the launch of an SS-19 intercontinental ballistic missile from eastern Russia, said officials familiar with details of the test. Russia’s state-run Interfax news agency confirmed the test on Thursday. Tuesday’s test was only the second known test of a new hypersonic glider. An earlier test took place last year. China and the United States also are developing hypersonic missiles, both gliders and jet-powered vehicles that travel at extreme speeds. China has conducted six tests of its DF-ZF hypersonic glider. A U.S. Army hypersonic missile blew up shortly after launch in August 2014. The Pentagon also is developing a scramjet-powered hypersonic weapon. Hypersonic missiles are being developed to defeat increasingly sophisticated missile defenses. The weapons are designed for use in rapid, long-range strikes. Interfax, quoting a source familiar with the Russian test, confirmed it involved a “prototype hypersonic aircraft” that will be deployed on current and future long-range missiles. The test was carried out in the Orenberg region of Russia, located near the border with Kazakhstan. 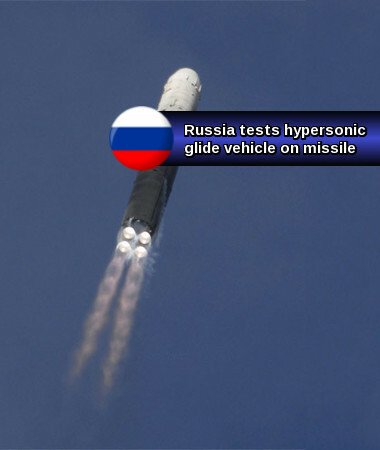 The hypersonic glider was launched atop an SS-19 missile and the test was said to be successful, the news agency said.